Dear Students, with defence examination of grave significance viz. NDA 2019 closing in on you, this month puts on you the onerous task of endeavoring to achieve your career goals without procrastinating anymore. The notification for NDA 2019 was released in the month of January and NDA 1 examination is scheduled to be held on 21st of April 2019. As hardly 2 months remain for this examination to be held, you must have yourself realized the dire need of keeping your casual attitude at bay and sinking your teeth into the preparations. Students, what plays an important role in one's success in any competitive examination is round-the-clock practice accompanied by a pinch of sincerity and determination. Regular practice not only helps you develop marvelous skills to ace an examination but also empowers you to get better as time goes by. Once you attune yourself to constant practice with mock tests, the real examination no longer seems outlandish to you. So, practice hard, compromise it for nothing and ace NDA 2019 Exam this time. 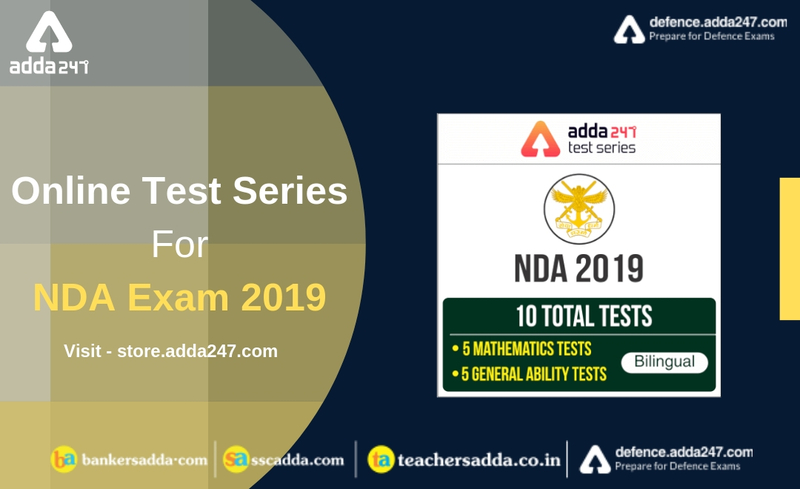 Here is Adda247 National Defence Academy (NDA) 2019 Online Test Series Package with Mathematics: 3 Full Length Mocks & 2 Previous Years’ Papers and General Ability Test: 5 Full length Mocks at a nominal price of Rs 299. With this package, discover where you stand and how much more you need to strive, because, in this fight for Defence exams, it's like, shape up or ship out, and you are the one who has to decide if to withstand the competition or quit. 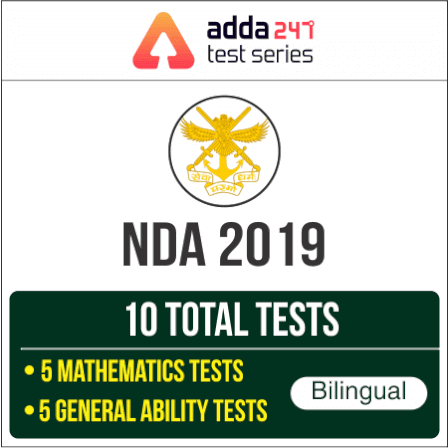 If you are willing to bring the house down then subscribe to Adda247 National Defence Academy (NDA) Online Test Series Package while the going is good.